NEW PRICE! Bring offer! Seller offering closing costs assistance! Why wait for new construction? Exterior freshly painted & 2018 Air Conditioner interior unit completly replaced. Home warranty included! The covered front entrance invites you inside. From the tiled foyer and to your right the formal living & formal dining will greet you with a decorative arched w/columns in the dining area & to the left the access door to the laundry room w/ garage access. Continue walking from foyer towards the back of the home & the open kitchen, breakfast area and family room welcomes your to an intimate retreat. The kitchen features 42" cabinets w/crown molding, walkin pantry, lots of cabinets & counter space. The sliding glass door from the breakfast area takes you to the covered lanai and fenced (on three sides) on the rear of the home. When inside, from the family room there's access to the master bedroom w/master garden bath, separate stading tiled shower, double vanity sinks & an extended storage under stairs access. Water softener in the garage is owned will stay with the sale and fully operational. 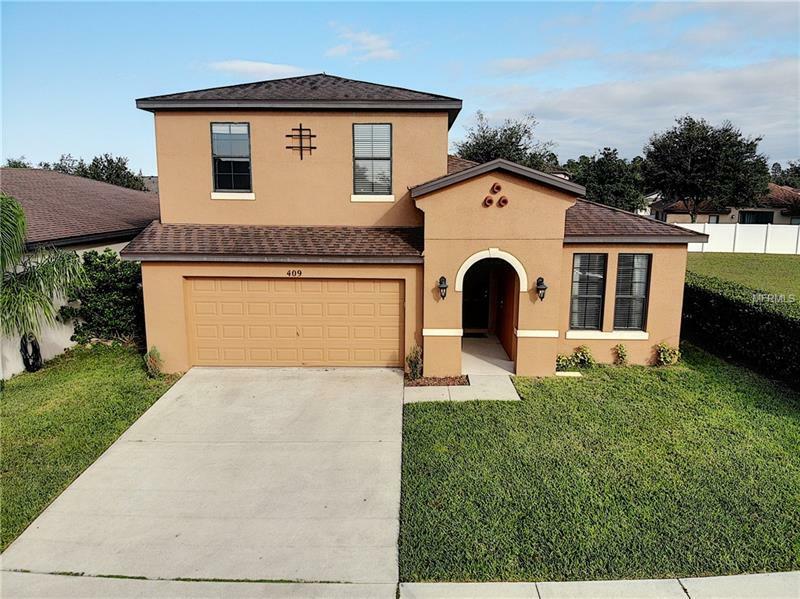 The access to the second story is thru the family room & next to the half bath area a wood railing & banisters welcomes you to the second story featuring an open space/loft/computer a/o office & the 3 other bedrooms and full bathroom. The community is located less than a mile from the new Minneola/Montverde Turnpike exit. Owner is highly motivated to sell!